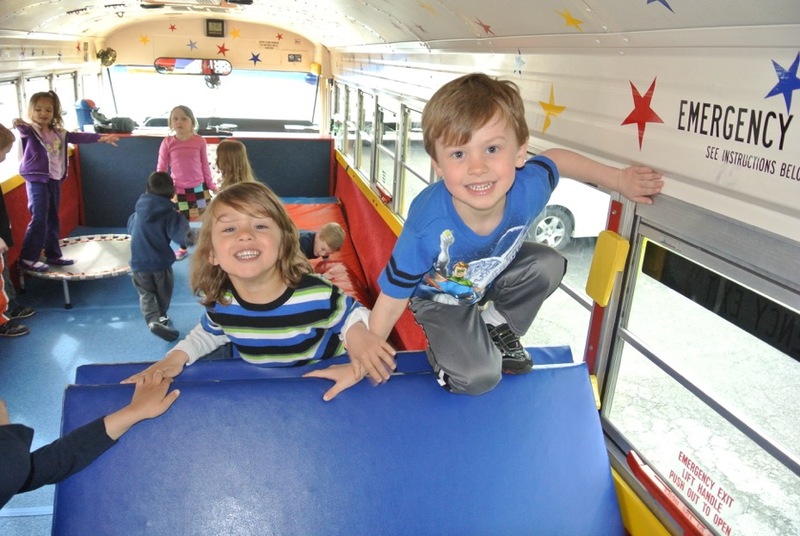 TumbleBusNY is the most FUN your child will have at a Birthday Party! Guaranteed! Parents rave about the TumbleBus! With the TumbleBusNY you don’t have to worry about getting to the party on time or clean up because we come to your location! Special themes and requests? No Problem! Not having your party at your house? No problem! We can go to parks, pizza places and much more. TumbleBusNY we make the party and planning experience simple easy and fun! A bright fully converted school bus with top of the line gymnastics equipment. The TUMBLEBUS Features: Padded Walls & Floors • Climate Controlled Atmosphere (Air Condition & Heat) • Mini Parallel Bars • Mini Slide • Monkey Bars • Spinner Bar • Zip Line • Tunnels Inclines • Tumbling Mats • Balance Beam • Mini Trampoline • Vaulting Board • Rings • Ropes • Balls • Bean Bags Parachute • Blue Climbing Mountain Wall • Cargo Net And More..
TumbleBusNY also runs weekly programs at daycares and camps. We do special events (fundraising walks, Communions, graduations and much more). 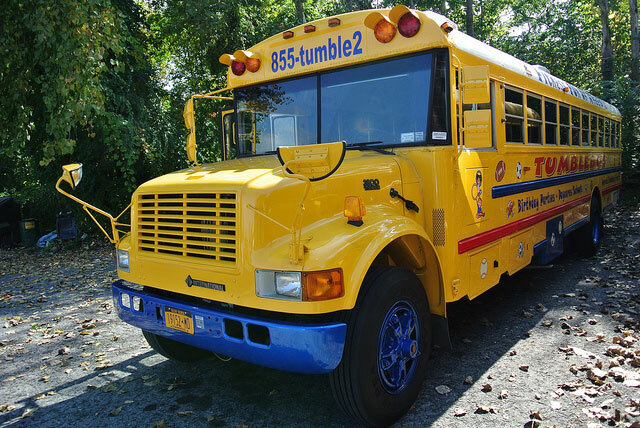 Recommend the TumbleBusNY to a school or camp and once the Bus is reserved your child goes for FREE. Discount applies to 1.5 hour party only. We would love to see photos and feature your daughter’s party on the Booked Parties website. Please send them along if you wish to be featured. Thanks! I’m writing this review as a confused customer… it’s advertised that they service all of New York City but when you call and try to book for Brooklyn they say they don’t go to Brooklyn! I was looking forward to the TumbleBus but I guess I’ll take my business else where!!! Thank you for reaching out. We apologize that the information on the Tumble Bus e-brochure was not accurate. We strive to provide our customers with accurate information. Please email us at info@bookedparties.com with your mailing address and we will pop a little something in the mail for you for the inconvenience.